Custom jackets are an ideal way to shield yourself from the elements whilst maintaining a professional image. Whether you have a requirement for a professional tournament or a conference, we are sure to have the idea custom embroidered and printed coats solution for you. Corporate softshell jackets are becoming increasingly popular as the appearance of the jackets look smart and professional. Embroidered softshell jackets can be used as an alterntive to the traditional embroidered fleece garments. Ranging from custom team warm up jackets in lightweight options to higher specification custom athletic jackets suited for corporate racing events. Custom sports jackets can also be supplied for corporate racing events. 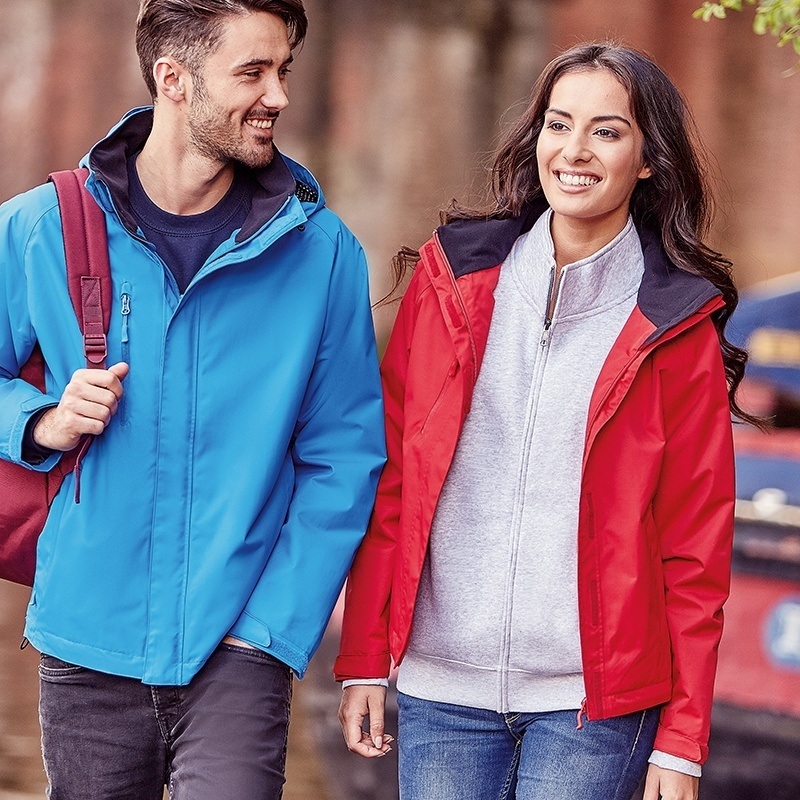 Custom parka jackets with hoods are ideal for when staff and colleagues are stood outdoors for longer duration of time in the cold climate. Custom waterproof jackets are more suited to print as opposed to embroidery to maintain waterproofing properties. Custom outwear jackets can be offered for print or embroidery in heavier insulated options or both men and ladies styles. Custom ladies jackets are available in a large range of colours and styles to suit different requirements for your project. Womens jackets come with a more tailored fit compared to a traditional unisex jacket. Whether you are looking for embroidered bodywarmers or custom gilets we have a large range fo fashionable and practical options available for customisation. Let's Get Started With Your Custom Jackets Request Today! We just need a few pieces of information from you to make a start on your cusomised jacket enquiry, so just click the button below to make start and we will get back to you as quickly as possible.